Enjoy the comforts of your home by making it a safer place for you and your family. 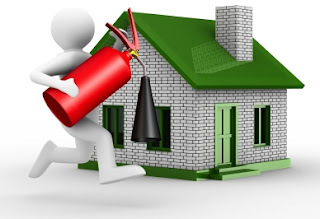 We can prevent home fire disaster by following these essential tips. As a general rule every home should have an available fire extinguisher especially in the kitchen where fire commonly starts. We need to do cooking with care. Never leave cooking food unattended on the stove. Keep curtains, potholders, kitchen towels and anything that could catch fire away from your cooking area. Position the fire extinguisher where it could be easily seen in your kitchen. You may visit fire extinguishers from fire protection online to learn more on the right size and type you will need. Keep home clutter-free, flammable objects and fire starters like matches and lighters should be out of children’s reach. Install smoke detectors or alarms and make sure to test them regularly to ensure if they are working properly. Map out escape routes, devise a family fire escape plan, then discuss it with your family by creating an easy to follow plan to get out of the house in case of a fire. Better to conduct yearly drills for the children not to forget the details. Fire escapes should be available especially if bedrooms are all located on the second floor. It is also advisable to duplicate your keys for the fire escape windows and doors, inform each member of your household on the designated place where to get the keys in case of an emergency. Avoid using octopus connections, don’t overload sockets. Have your electrical wirings be checked regularly. Poorly wired electrical appliances and house electrical wirings can pose a real danger. Never leave your decorative candles lit and glowing when you are about to leave the room or going to bed. Put your candles securely in a stable candle holder kept away from curtains. Keep your home a non-smoking zone. It will not only cause fire but it is a health hazard too. Fire extinguishers should really be present in every house as you can never be sure when there's a fire hazard incoming. I hardly ever see a fire extinguisher in people's homes in RP, but I agree it's wise to have them around. I grew up with my parents who were really careful and very vigilant in making sure our house will be out of fire as much as possible. Fire extinguishers, sprinklers, etc. This is a good share as an eye opener too for others to be more cautious. while expecting our condo unit before moving in, i was surprise to see a fire extinguisher in one of the bedroom. i only get to see fire extinguishers in commercial establishments and offices. Up to now we still do not have fire extinguisher at home. I better buy one before the year ends. Prevention is indeed essential. I've been reading posts about fire extinguisher for home safety... but until now, we don't have any. We have to purchase na talaga. Would you believe that when my kids where younger...with just my daughter going to school, I left the stove open to pick her up...good thing we have an electric stove...still, the beef I was cooking was "charcoal-broiled" when we came back and the house reeks of it. :/ Great reminder! Aside from the fire extinguisher, I need to plan an escape route, we live on the 9h floor! I should really get one (even if it's the smallest) for our kitchen and teach my elder daughter on how to use a fire extinguisher. I knew there are different kinds of fire extinguishers but I never knew they are these comprehensive.